Fleet managers are under constant pressure to get more done with fewer resources. To remain competitive and profitable, businesses need to maximize the productivity of every asset they own, which includes their fleet of vehicles. Long-distance transportation vehicles, such as semi-trucks, often struggle with maximizing efficiency and productivity. After all, these vehicles have to range far and wide to move goods and materials from one point to another. This creates numerous opportunities for inefficiency to drain valuable resources and create delays. Truck GPS tracking solutions help fleet managers overcome inefficiencies that cause productivity delays and overconsumption of resources. Driving a big rig long distances sounds like a romantic job to many at first, but the truth is that sitting behind the wheel for eight hours or more in total each day is a monotonous task. While periodic stops are unavoidable, some drivers might find it tempting to go off the beaten path in search of a more scenic route or a distracting activity to alleviate the boredom. In a best-case scenario, this can create a few hours of distraction on any given day of transit for a cargo load. In a worst-case scenario, an extended stop increases the risk of cargo theft. GPS truck tracking helps prevent unscheduled side trips by providing GPS tracking data to fleet managers. Some GPS systems even allow fleet managers to receive an alert right away if a truck goes more than a set distance off of the designated path. Armed with this data, fleet managers can reach out to drivers right away to get an explanation for the detour, and guide drivers back to the most efficient path if needed. There are many factors that can contribute to less-than-optimal fuel efficiency for a semi-truck. Cargo weight, truck aerodynamics, tire pressure, average speed, terrain incline, traffic patterns and dozens of maintenance issues can all conspire to negatively affect fuel economy. While issues such as cargo weight are often hard to control, the path vehicles take and truck maintenance efforts are both things that fleet managers can control. Monitoring Driving Behaviors. 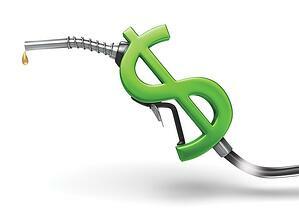 The way that drivers handle their trucks can greatly influence fuel economy. Higher speeds demand more engine power/torque to maintain, increasing fuel consumption. With GPS, fleet managers can monitor acceleration and braking behaviors for signs of waste, and correct drivers who speed too much. Providing Remote Diagnostics Reports. Some GPS solutions can integrate with a vehicle’s onboard diagnostics system to remotely diagnose issues that could impact fuel efficiency or even cause a breakdown. This helps focus maintenance efforts to increase efficiency while avoiding wasteful or unnecessary maintenance. Helping Guide Drivers Around Traffic Jams. Traffic jams are all too common near major cities. Accidents, road construction, rush hour traffic, and more can turn highways into rolling parking lots, where excessive idling kills fuel economy and delays trucks from reaching their destinations. GPS tracking can let fleet managers guide their cargo trucks to alternative paths where traffic isn’t so slow and heavy, improving fuel consumption and preventing delays. Few things kill productivity for transportation trucks like the cargo getting stolen mid-transit. Cargo theft is a continuous worry for companies moving goods or supplies long distances. When a cargo truck is stolen, not only does the company lose all of the cargo the vehicle was carrying, it faces significant productivity delays from the loss of that vehicle to the cargo fleet. The severity of the impact can vary based on the overall size of the cargo fleet and the speed with which the lost asset can be replaced. For smaller fleets, the loss of a semi-truck can be devastating to cash flow and operations. 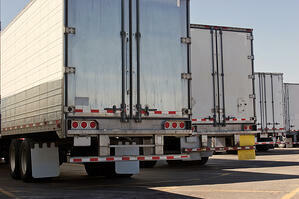 GPS tracking systems for trucks can help minimize the risk of losing a semi and its cargo. With GPS, companies can pull the location data for the truck, narrowing down the search area so law enforcement officials can recover the stolen asset more quickly. This increases the chances of recovering the truck intact so it can be returned to service. Minimizing cargo theft risk is a key element of ensuring maximum productivity for business operations that depend on successful delivery. Like what you're reading? Subscribe to our blog.